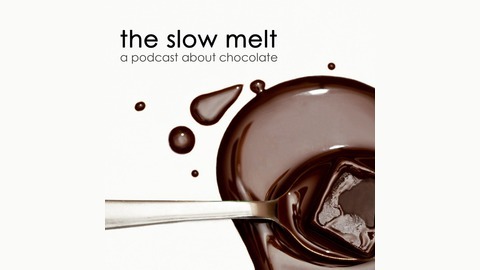 The first podcast to cover the continuum of chocolate, The Slow Melt uses chocolate as the thick, delicious lens through which to explore the world—from flavor and physiology to chemistry and conservation, from global markets and gender to climate change, social justice and beyond—highlighting the people, places and processes behind this $100 billion industry. By better understanding chocolate, we can better appreciate it, more easily identify what we love, and support the makers and producers that create those kinds of bars. 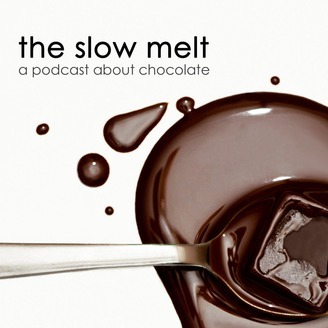 The Slow Melt is hosted and written by journalist and author Simran Sethi. Guests include farmers, conservationists, manufacturers, tasting experts, scientists, social justice advocates, chocolate purveyors and, of course, award-winning chocolate makers. Learn more at theslowmelt.com. Fruition Chocolate was founded in 2011 by Bryan Graham and is based in Woodstock, USA. The company is known for stone-grinding cocoa beans as a means, Bryan says, of accentuating their inherent flavor. Fruition Chocolate won the gold medal for “Best in Competition” at the 2016 International Chocolate Awards. In this episode, Bryan tells us about his pastry chef training, the story behind the Corazon de Dahlia bar and how the proceeds help children in Peru, and about recreating flavors in chocolate that he loved in his youth. Please join us in tasting the Corazon de Dahlia Milk Chocolate Quinoa Crunch bar. Learn more at theslowmelt.com. For more information on Fruition, head to their website (www.tastefruition.com), and use code “slowmelt” for a 15% discount from now until October 15, 2017. You can also purchase an exclusive bar bundle, including all nine bars featured in the Makers Series, at Chocolopolis.com (in the U.S.; use code “slowmelt” for a 15% discount), and find most of the bars in a subscription box by BeanBarYou.com.au (in Australia). This episode is brought to you with the kind support of these sponsors: - Rottar Grinders: Chocolate grinders designed and built by a chocolate maker in the USA. Learn more at www.rottar.com. - Blue Apron: $30 off your first order with free shipping at blueapron.com/chocolate. - Audible: Get a free audiobook of your choice and free 30-day trial at www.audibletrial.com/chocolate. Soundtrack: "Soldier" by The Slackers. Hear more at theslackers.com.